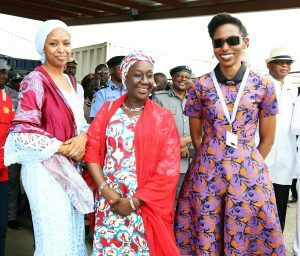 The President and Commander-In- Chief of the Army Forces of Nigeria paid a working visit to LADOL facility inset the Lagos Ports Complex (LPC). The President Muhammadu Buhari who was ably represented by the Acting President of Nigeria, Prof. Oluyemi Osinbajo, who on arrival was taken on a facility tour of the facility after which the Management of LADOL made a public presentation of the evolution of the facility. 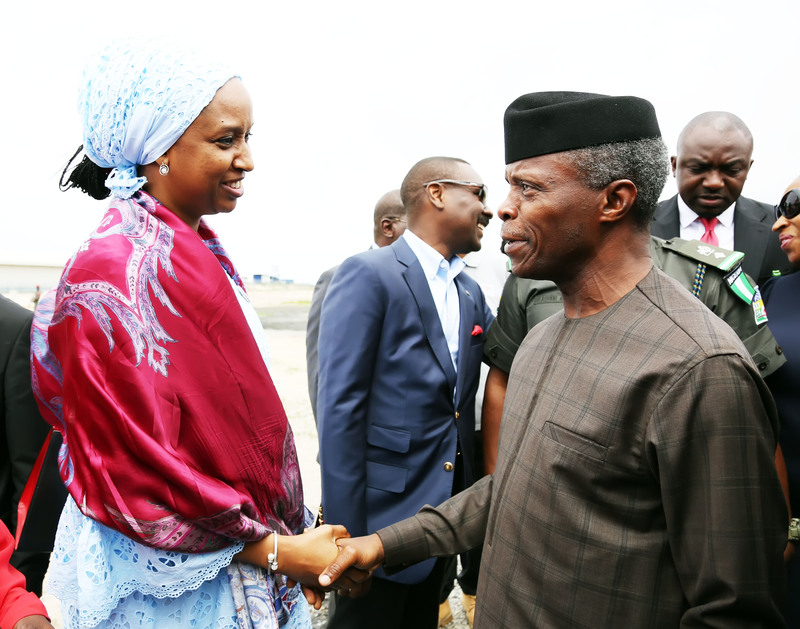 The Acting President of Nigeria, Prof. Oluyemi Osinbajo and the Managing Director of Nigerian Ports Authority (NPA), Hadiza Bala Usman in a warm exchange of pleasantries at LADOL, Apapa, Lagos today.